Leverage a mobile data application that gives dispatch, your crew and the facility robust communication options (such as chat, push to talk and live streaming); provides modernized mapping; and allows supervisors to know where vehicles are located. How Does ZOLL Respond Work? Cut out unnecessary phone calls with live chat features and live stream video communication and directly connect field crews to doctors at medical facilities. 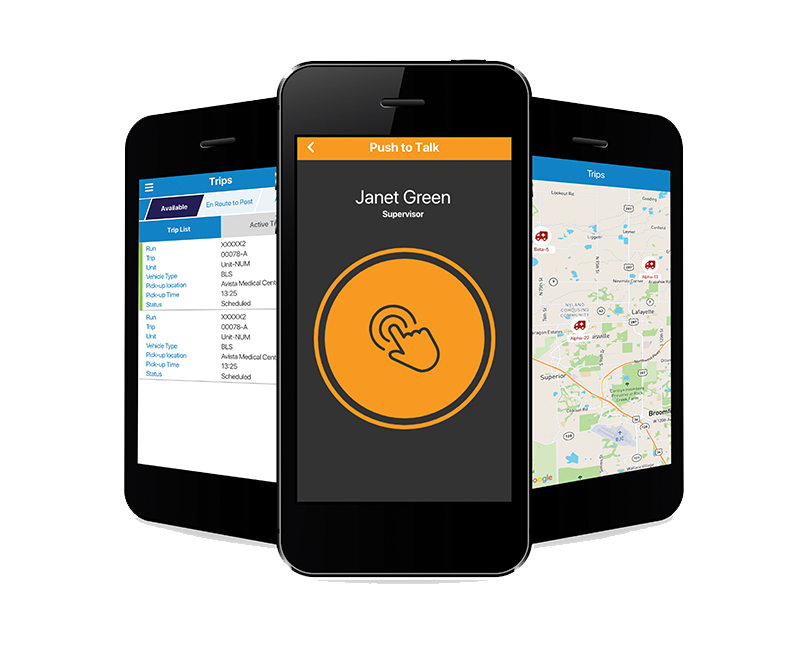 Because ZOLL Respond is integrated with RescueNet Dispatch, dispatchers can chat and push to talk (PTT) with the field crews via the ZOLL Respond chat services. Directly connect field crews to dispatch and doctors at medical facilities. Learn more about ZOLL Respond.